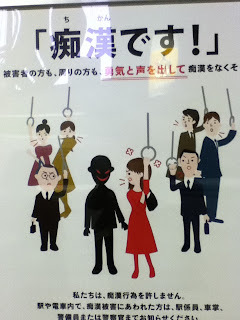 Each month I usually mention the manner posters that adorn the subway walls around Tokyo. But this month I'm so unimpressed, I'm going to mention another, much more sinister-looking one that I saw the other day. I would NOT like to come across this red-eyed devil any time soon!